Ever since Kobie Boykins came out to speak at GeoTech last year, we have paid extra attention to the Mars Rover program. We found a wonderful site that allows you to explore the surface of Mars, straight from the view of the rovers. You’re gonna love it! 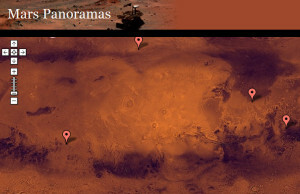 Go to Mars Panoramas to experience stitched together searchable picture maps of the Mars landscape. You can follow the links to select panoramas acquired by NASA‘s Phoenix lander, Mars Pathfinder, Spirit and Opportunity rovers on the planet Mars. Thanks to the Phoenix teams and the Mars Exploration Rovers Team for their outstanding work and commitment to make these missions possible! At GISetc.com we curate and bring you the best science resources from the web. We hope our sharing will keep you up to date on the latest science and geospatial news. 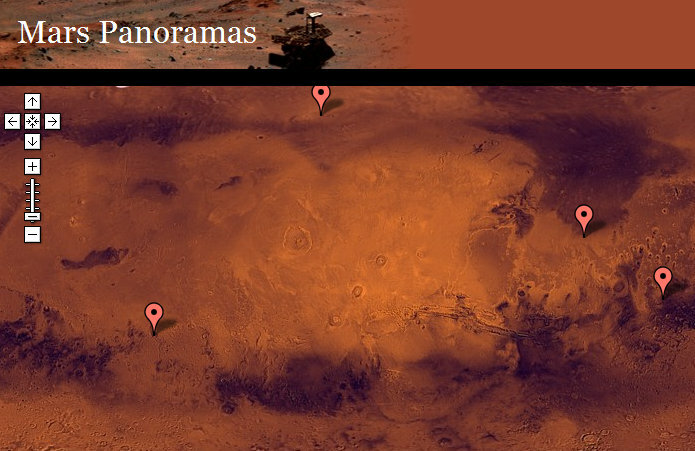 Click here to explore the full website, Mars Panoramas.